TUI Cruises has taken delivery of the new Mein Schiff 2. “For us it has been a thrill working with TUI Cruises on the design and construction of this ship. The passengers will surely notice and hopefully like the differences to the previous ships. We have redesigned many of the areas of the ship, e.g. the Schau Bar and the restaurant area in front of the aft diamond structure," said Meyer Turku CEO Jan Meyer. With the Mein Schiff 2 Meyer Turku and TUI Cruises have continued taking into account the feedback from the passengers of TUI Cruise’s previous ships and further improved and refreshed the design of the ship, according to a statement. This time the ship sailed to Kiel for the delivery ceremonies, due to ice conditions in the Turku archipelago. “The commissioning of our new Mein Schiff 2 marks the successful end of our first expansion phase. Our sixth newbuild by Meyer Turku not only impresses with its design, its inner values are equally convincing: With the use of modern technologies we are setting standards for environmental protection," added TUI Cruises CEO Wybcke Meier. 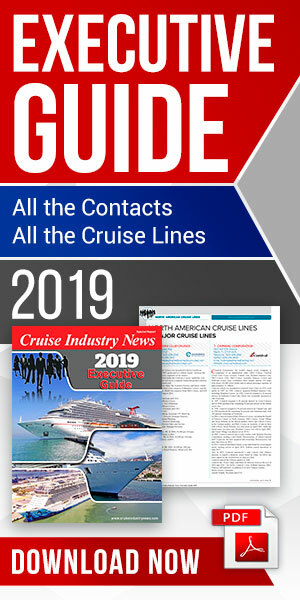 “The essence of our business is to listen to the feedback from the passengers and then use our own expertise in design and engineering to make the next ship even better, safer and more passenger-friendly," Meyer added. With an extensive ramp-up program including investments of over 200 million euros, continuous recruitments and trainings for employees, Meyer Turku will double its production in the coming five years.